Jacaranda celebrates 50 years of the iconic Jacaranda Atlas with a ninth edition. For the first time, a hardcover atlas comes with eBookPLUS, marrying the benefits of print and digital. 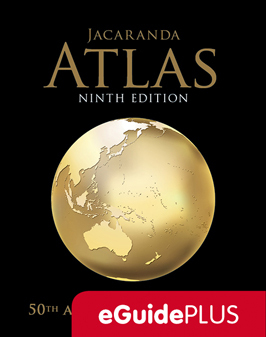 The iconic Jacaranda Atlas is celebrates 50 years with a 9th Edition. This hardcover edition features brand new content and, for the first time, comes with a complimentary eBook that provides 1:1 correspondence with the print. 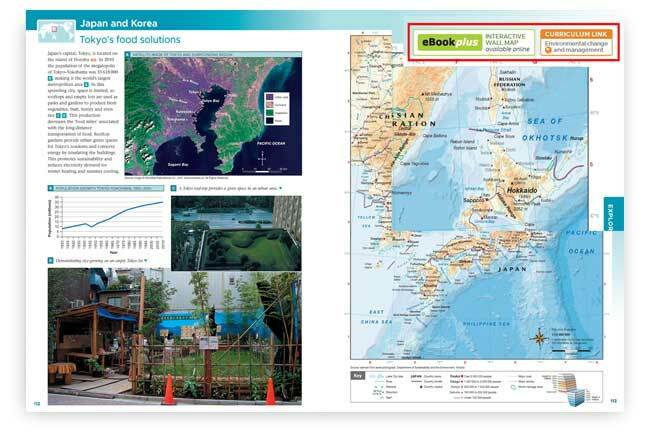 Students and teachers get the best of both formats in a single resource—high quality and award-winning print maps, plus interactive digital maps and tools. More than just a reference, the Jacaranda Atlas fully supports the curriculum at every year level from 7-12 and can be used to teach essential geographical skills. Why use the Jacaranda Atlas? For the first time, the Jacaranda Atlas provides a choice of print and digital formats, without compromising on content. Students and teachers can use the print atlas or eBookPLUS based on their individual needs or preferences, or the particular context. 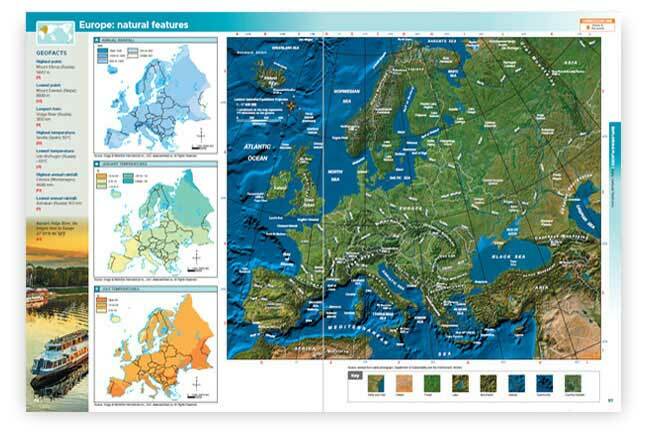 The eBookPLUS includes 50 interactive wall maps for teachers to demonstrate and use when using maps to teach from. 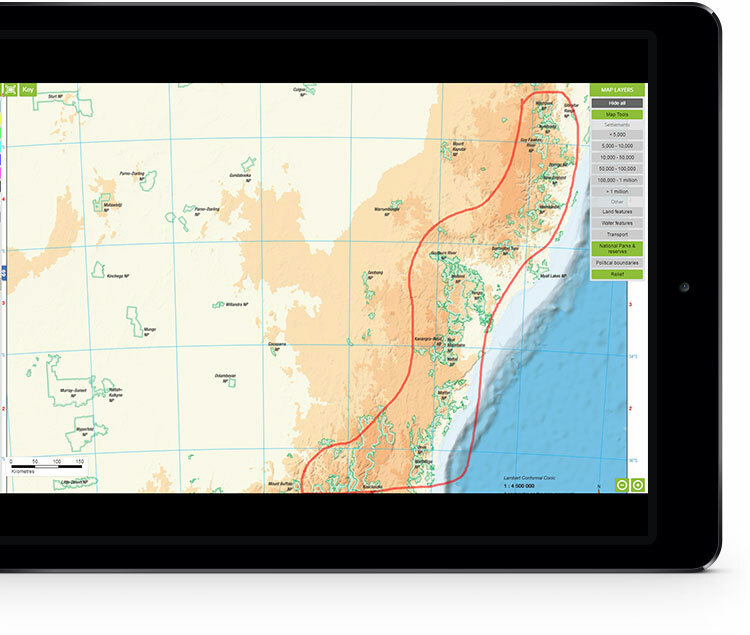 Similar to the printed versions, the digital maps provide more opportunities for engagement and interactivity, without the issues of cost and storage/space. Students can click layers on/off, write on the maps and zoom in with the scale changing accordingly and remaining visible at all time. Using the drawing tools, teachers can highlight patterns to students, which is great for visual learners. The Jacaranda Atlas provides a visually stunning and information-rich environment to motivate students to develop key geographical skills. 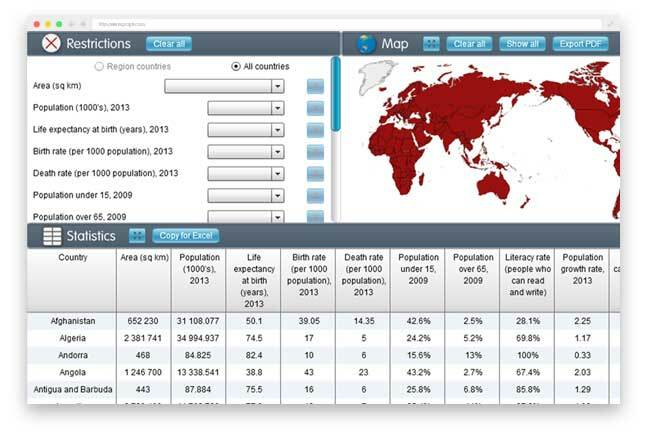 The online statistical mapper allows students and teachers to instantly create their own maps of selected world statistics or sort data to create their own graphs. 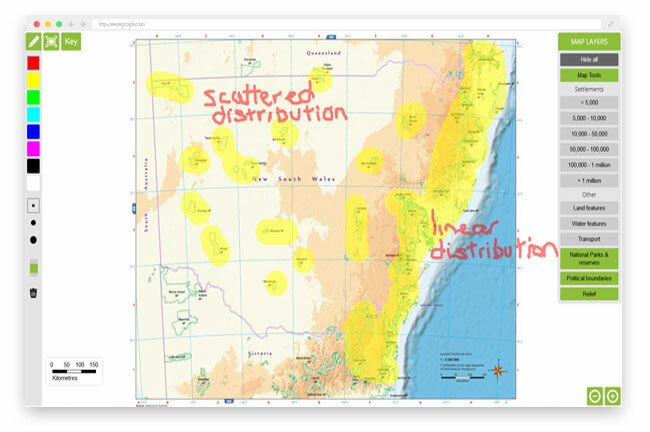 Contemporary case studies (such as the disputed South China Sea, ewaste and population movements in Syria), and the ability to interact with, and personalise, digital maps not only increase students’ engagement in the material, but assist in the retention of learning. The Jacaranda Atlas provides teachers with ready-made content through case studies that specifically address units in the curriculum (identified on each page by a “curriculum link” icon) to help with planning and preparation. What’s more, the combined hardcover and eBookPLUS provide incredible value for money and teachers save even more with the 50 interactive wall maps. These important resources are now digital, enabling teachers to demonstrate using maps without the cost and space issues of the printed versions. Watch these five short videos to learn more about the exciting features of the new Jacaranda Atlas 9e eBookPLUS. Want to watch the full 10 minute presentation? Watch the uninterrupted YouTube playlist here. Choose from two formats: digital only, or digital and print. myWorld Atlas takes the content of the iconic printed Jacaranda Atlas online to bring Geography to life. The Jacaranda Atlas 9e is available as a standalone purchase or as part of a value pack to suit the needs of all schools and individual parents. Purchases can be made direct from Jacaranda. Purchase via the Jacaranda Shop. Payment is made over a secure connection. Purchase a class set of 25+ copies and receive a free eGuidePLUS. All digital resources (eBookPLUS and eGuidePLUS) are subscription-based products and expire at the end of the licence duration for your purchase. To understand the duration of your digital license, please click here.